Last week on BBTB2 they had a challenge to use make a haunted house. Well, not to many people entered so they are extending it AND offering blog candy! And this week Polkadoodles is asking us make something spooky. I decided to participate, but did not want to make your typical haunted house. So, I made a spooky bird house instead. The bird house is cut from the Stretch Your Imagination cart, the birds from the Home Decor cart, the witches hat and cape form Paper Doll Dress Up and I can’t figure out which cart I used for the moon and stars. 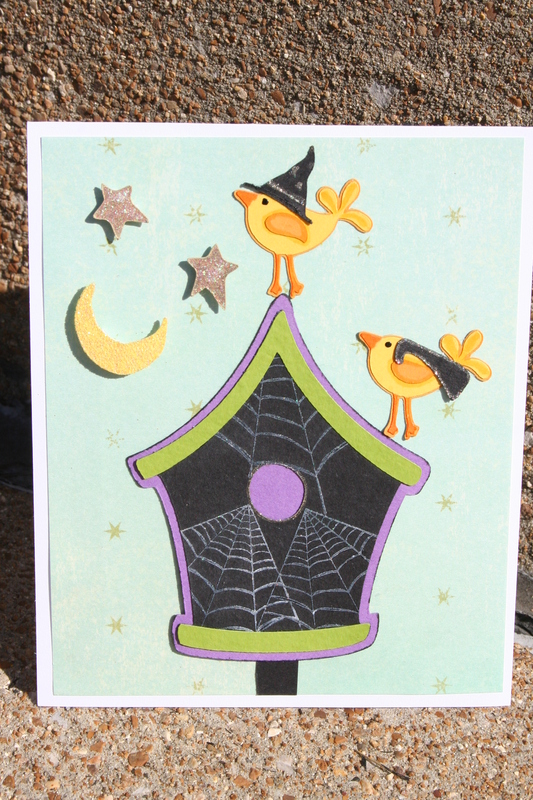 I used a web stamp stamped with white ink and embossed with sparkle powder. The Moon was sent through my Xyron wrong side up and sprinkled with Martha Stewart Glitter. 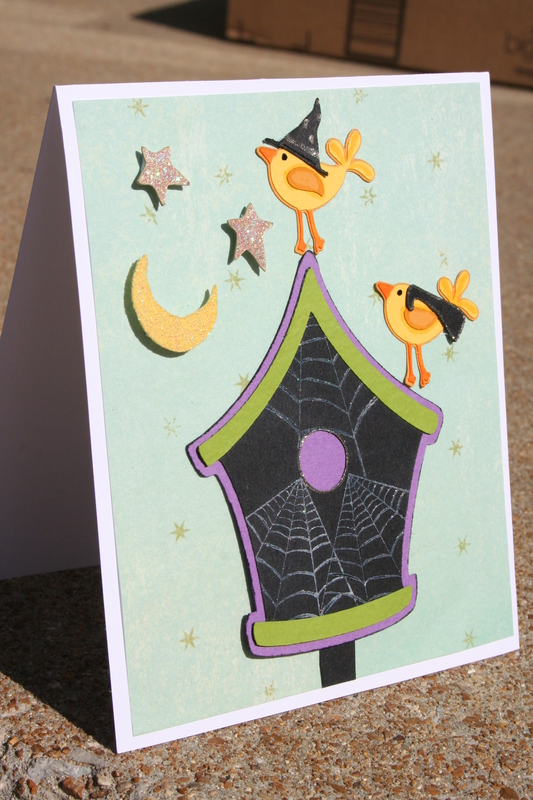 Crystal Stickles was used on the stars and I used a stardust pen on the hat, cape and bird house.